Meet our team of experienced recruiters. We’re excited to work with you. Susan Levine, Founder & President of Career Group Companies, is an expert in building relationships and creating meaningful professional connections. A true visionary and leader, she’s used her remarkable intuition and love of people to solidify herself as an industry icon, curating quality career matches based on finding the perfect cultural fit between client and candidate. For these reasons, executives across the country rely on Susan as one of their most trusted advisors. Susan founded Career Group, Inc. as the first high-end recruiting firm focused on executive and administrative support, and soon after followed with Syndicatebleu, a creative recruiting firm focused on design, marketing, and production. Following the success of these two businesses, Fourth Floor and Avenue Pacific were born, focused on fashion and C-level recruiting, respectively. Career Group Companies has since grown to serve the Los Angeles, New York, San Francisco, and Orange County markets. Her leadership has taken a niche brand into a widely recognized industry name, specializing in handpicked freelance and direct hire placements that serve both candidate and client in the most personalized way possible. Susan knows that people are her business, and she’s made it her mission to serve as a trusted strategic advisor. As the force behind the success of Career Group Companies, Susan’s commitment to outstanding high-level work has only grown stronger. She continues to use her expertise to impact the lives of her candidates and improve the company culture of her clients – one exceptional match at a time. Annie Papp is an Executive Vice President at Career Group Companies, managing the New York temporary and full-time divisions. 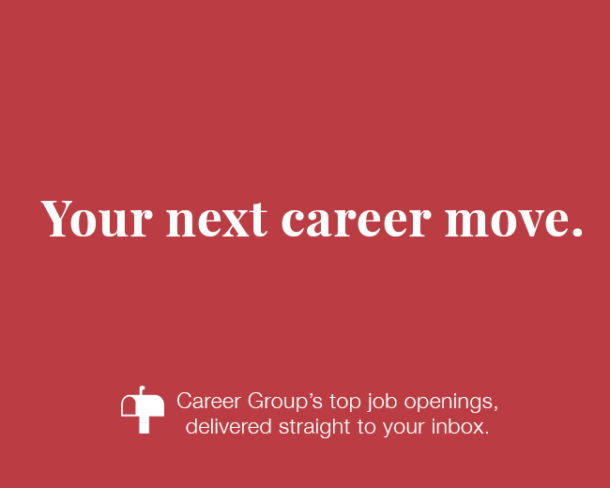 Since beginning her recruiting career in 2007, Annie has successfully launched and expanded Career Group’s New York office by recruiting and training leading talent. Annie holds degrees in Psychology and English Literature from Roger Williams University. When she’s not working, Annie enjoys swimming, playing tennis, and spending time with friends and family on Fire Island in Vermont. Kelly is a key member of Career Group Companies. After joining the team in 2012, Kelly has been extremely successful at providing 24/7 service to her top-notch clients, developing teams, and managing Career Group LA’s Temporary Division and Syndicatebleu recruiters. In addition, Kelly also oversees the Fourth Floor teams in Los Angeles and San Francisco. Kelly graduated from George Mason University with a Bachelor’s Degree in Global Affairs and Chinese Studies. Before joining Career Group, Kelly spent three years working at a leading finance and consulting firm, where she discovered her love for recruiting. Kelly was thrilled to bring her strong consulting background and interpersonal skills to the team at Career Group. In her free time, Kelly enjoys exploring new cultures, and sampling cuisine. Danie Dorinson is a Senior Vice President in Career Group Companies’ full-time division. With over 25 years of staffing experience, Danie is recognized as one of the leading recruiters in Los Angeles. Since joining Career Group in 1991, she has cultivated lasting relationships with clients and candidates and created countless successful career matches. Prior to her career in recruiting, Danie worked as a Counselor – experience that has translated well to her work developing meaningful connections. Danie has a Counseling Degree from Vanier College in Montreal, Canada. Outside of work, Danie enjoys traveling with her family, hiking, and reading. Annie is a Roger Williams University graduate, where she studied Psychology and English Literature. Upon graduating, Annie moved to New York and started her career in the film industry. In 2007, Annie joined Career Group as a junior recruiter in the Temporary Division. Since then, Annie has recruited and developed leading talent to successfully expand the New York office. Now as Executive Vice President, Annie is responsible for training and managing the New York Temporary and Full Time Divisions. Annie also spearheaded the launch of the Greenwich, Connecticut office. Annie lives with her husband in Greenwich, Connecticut. She enjoys swimming, playing tennis and spending time with family and friends on Fire Island and in Vermont. For over 20 years, Melissa Shields has been a leader at Career Group Companies. As Senior Vice President, she has helped create and shape a solid foundation for Career Group’s Full-Time Division. Melissa is known in the industry for her honest, authentic approach and innate matchmaking ability. She excels in developing strong relationships with both her clients and candidates. Before joining Career Group Companies, Melissa was the Director of Administration for a leading entertainment company in Hollywood. In her free time, Melissa can be found dining at her favorite restaurants, spending time with her family and pets, and traveling. Prior to working at Career Group, Melissa received her Bachelor of Science Degree from Towson University. Before joining Career Group, Melissa worked as a Director of Business Development and as a Technical Recruiter. She joined Career Group in 2013. With over 9 years of recruiting experience, Melissa has enhanced Career Group with her exceptional people skills and passion for pairing candidates with clients. In her free time, Melissa loves to travel, learn different languages, hike, and listen to music. Kimberly is a Senior Vice President in the San Francisco Office. She launched the office in 1996, where she helped to grow and build an accomplished and successful team. Her exceptional communication and management skills have made Kimberly an invaluable asset to the company, and a true partner to her clients. Kimberly constantly goes above and beyond to ensure that all needs are considered during the staffing process. In her free time, Kimberly enjoys water sports, hiking, and spending time with her two children in Marin County. She attended Pine Manor College in Chestnut Hill, where she earned her Associate’s Degree in Liberal Arts. Jillian Lawrence is a Vice President of Career Group Companies in New York City, recruiting for the full-time division. Since beginning her recruiting career in 2010, Jillian has successfully built a significant book of referral-based clients across all industries. It was Jillian’s passion for entertainment that first brought her to New York. She earned her Bachelor’s degree in Theatre Arts from Brooklyn College and went on to work as an assistant at reputable film studios and PR firms before making the shift to recruiting. Outside of the office, Jillian is a photography lover, a volleyball player, and an avid world traveler. As a Vice President at Career Group Companies, Emily Levine plays an instrumental role in the success of the Full-Time division, where she recruits for clients in both Los Angeles and New York. Since joining Career Group in 2010 as a Recruiter, Emily has excelled at building meaningful business relationships with both clients and candidates. Emily is a graduate of the University of Pennsylvania where she received her BA in Communication. While not working, she enjoys traveling and exploring new restaurants. After receiving a Bachelor’s Degree from Brandeis University, Jonathan went on to graduate with an MFA from Harvard University. Jonathan started his career in New York as a legal recruiter. In 2006, Jonathan joined the Full Time Division and soon thereafter launched the Private Services Division within Career Group. He is proud to have built exclusive relationships with New York’s leading firms, prominent individuals and private family offices. Outside of work, Jonathan is an avid swimmer, runner and humorist. Joanna is an integral member of the Los Angeles Full Time and Temporary Divisions. She received her Bachelor of Science Degree from the University of Kansas, where she majored in Strategic Communications. Since joining the firm in 2006, Joanna has been a strong asset to the Career Group team and now serves as Director. Prior to working at Career Group, Joanna worked for a prominent talent agency and a private equity firm. In her free time, Joanna enjoys staying active with fitness, listening to live music, and visiting new restaurants. Natalie Boren is the Managing Director of the Career Group Temporary Division, Fourth Floor, Syndicatebleu, and the Event team. She plays an integral role at Career Group, successfully recruiting for top clients while training, mentoring, and developing her teams. Natalie joined Career Group in 2012 as an Account Manager after earning her BS in Mass Communication/Media Studies from Boston University. In her free time, Natalie can be found traveling, exploring new restaurants, and spending time with her family. Amanda received her Bachelor of Arts Degree from the University of Rhode Island, where she majored in English. After moving to New York in 2012, she joined Career Group as a Recruiter in the Temporary Division. After a year of building a vast network of clients and candidates, she made the transition to our Full Time team as an Account Executive. In February 2016, Amanda returned to the Temp Team as Managing Director. She runs a hybrid desk and loves being able to be a resource for her clients and candidates on both the temporary and full time side. Her results driven approach and love for relationship building have allowed her to pair countless candidates with their dream jobs. In her free time, Amanda enjoys competitive dance, traveling and spending time with her family on the coast of Spain. A graduate of California State University at Chico, Brady holds a degree in Speech Pathology and Audiology. As Managing Director, Brady brings over 15 years of experience in the staffing industry to his clients and candidates. Since joining Career Group in 1999, Brady has been key to the success of the Temporary Division in San Francisco and throughout the Peninsula. An Orange County native, Alexandra Shaw attended college at CSU, Fullerton, majoring in Psychology with an emphasis in Industrial Organizational Psychology. Alexandra worked at Career Group’s Los Angeles office for three years, then at a Finance and Accounting recruiting agency in Orange County. She has now returned to Career Group as one of the first members of the Irvine office, where she continues her passion for connecting individuals with the best companies across Southern California. Outside of the office, Alexandra enjoys reading, staying active, and spending time with her family. Molly obtained her Bachelor’s Degree in Merchandising from the University of Kentucky. Upon graduation, she entered the fashion world, working as an Account Executive at a contemporary showroom. Molly then became a campus recruiter for a leading fashion brand. In 2013, Molly joined the Full Time Division at Career Group. Molly’s favorite activities include running on the Westside Highway, relaxing at the beach, taking in live music throughout the city, and supporting the University of Kentucky basketball team. A native of Virginia Beach, Virginia, Katie attended Georgia Southern University where she majored in Psychology. After a move to New York City and two years in the fashion industry, Katie’s interests turned to recruiting and she joined Career Group in 2012 as a Front Office Coordinator. Her networking skills and candidate interactions stood out and she advanced to become an Account Executive on the full time recruiting team. Katie’s innate ability to anticipate both client and candidate needs have led to great success in matching top talent to their dream jobs. In her spare time, Katie enjoys traveling, spending time with family and friends in the Outer Banks, and walking her Chihuahua through Central Park. Originally from Dallas, Jenna graduated from the University of North Texas, where she received her Bachelor of Arts Degree in Psychology, with a minor in Business Management. Since joining Career Group in 2010, Jenna has become an integral member of the team. She’s incredibly passionate about people and has an innate ability to connect with others and build lasting relationships. In her spare time, Jenna serves on the board of the Young Professionals Rotary of Beverly Hills. She also enjoys networking, volunteering for local non-profit organizations, and spending quality time with family. Serene joined Career Group in 2012 as an Account Executive, and has been a wonderful addition to the Full Time Division. She is a graduate of NYU’s prominent Tisch School of the Arts, where she received her Bachelor of Fine Arts Degree. Serene has extensive experience working in sales, and also has worked in the art world, specifically Fine Art photography. Outside of work, Serene enjoys cooking, organic gardening and flower arranging, hiking, traveling and dancing. Zelda graduated from the University of Oregon, where she majored in Psychology and Political Science. Upon graduating, she moved to Turkey to pursue an opportunity to teach English. After a year in Turkey, Zelda moved to New York and joined Career Group as a Front Office Coordinator. Her strong work ethic, passion for dedication to recruiting stood out and she was promoted to Recruiting Coordinator. Now, she works as an Account Executive. Outside of work, she enjoys traveling, visiting her family in Turkey, reading and exploring New York City. Originally from Swampscott, Massachusetts, Lindsey is a graduate of the University of New Hampshire, where she received her Bachelor’s Degree in Psychology. As a Senior Account Manager for Career Group’s Temporary Division, Lindsey loves building relationships with her candidates to find the best opportunity for them. Lindsey enjoys traveling and learning about new cultures – her notable trips include Spain and Argentina where she taught English as a second language. Anya received her Bachelor of Arts Degree from McGill University in Montreal, Canada, where she studied Sociology and Anthropology. After graduation, she moved to New York to pursue a career in the non-profit sector. With over five years of Development and Program experience with two prestigious non-profit organizations, Anya joined Career Group in 2014 as an Account Manager in the Temporary Division. In her spare time, Anya enjoys visiting family in Vermont, practicing yoga, reading, and baking cookies. Tracye graduated from Notre Dame de Namur University, where she received her Bachelor of Science in Business Marketing and her Bachelor of Arts in Graphic Design. Tracye began her career in recruiting in 2005, and then joined Career Group in 2010 as a Senior Account Manager. In her spare time, she enjoys traveling, exploring new food and restaurants throughout the Bay Area, and spending time with family. Originally from Virginia, Ashley graduated from George Mason University with a Bachelor of Arts in Art History. Prior to joining the Event Team, Ashley worked for a talent acquisition agency where she discovered her love for the fast-paced and ever-evolving world of events. Always on the forefront of recruiting and creative operations, Ashley takes an innovative approach to recruiting and has played a pivotal role in launching the Career Group Companies Event Team. Outside of work, Ashley loves to travel, explore Southern California, and take on new hobbies and challenges. Caitlin is a graduate from the University of San Diego, where she received her Bachelor of Science Degree in Business Administration with a minor in Communications. Upon graduation, Caitlin entered the world of public relations, working as an Account Executive for a full-service agency. She was inspired by the fast-paced environment and went on to pursue a career where she could focus her efforts on events. Now as a Managing Director to the Career Group Companies Event Team, Caitlin’s primary focus is to strengthen and maintain client relationships. Outside of work, she enjoys live music, running, going to the beach and spending time with family and friends. Originally from Weston, a suburb outside of Miami, Florida, Carly earned her undergraduate degree in Communications and Media, with a Minor in Telecommunications from Indiana University. She worked in Talent PR before joining Career Group. As an Account Executive at Career Group, Carly is “on it” at all times, not letting anything fall through the cracks. She takes a very proactive approach when working with candidates and enjoys helping them find their dream job. In her free time, Carly can be found at the beach, trying new restaurants, and spending time with her friends and family. Adrianna is originally from Newark, Delaware, and moved to Los Angeles to pursue her degree in Visual Communications at the Fashion Institute of Design & Merchandising. Prior to joining the Event Team, Adrianna worked in the wholesale fashion industry and specialized in styling, visual merchandising, and customer relations. Now as an Event Manager, Adrianna uses these skills to keep a poised demeanor and quickly adapt to challenges she faces in the world of event management. When she’s not at work, you can find Adrianna volunteering for the Stray Cat Alliance, which helps find homes for felines of all ages. She also enjoys exploring new restaurants in Los Angeles and catching up on BRAVO’s latest shows. Karli Knott is an Orange County native who attended Santa Barbara City College and FIDM in Los Angeles, where she studied Art Studio and Art History and Merchandise Marketing. Prior to joining the Event Team, she worked as an Operations Manager at a streetwear company showroom that hosted weekly events, and at a recruiting agency providing administrative support. Karli loves the fast pace of her current role; her detail-oriented nature allows her to successfully project manage multiple events. Outside of the office, you can find Karli attending museums and art galleries, or practicing her passion for ceramics and photography. Carissa is a St. Louis transplant who majored in Marketing at the University of Missouri-Columbia. After graduation, she applied her passion for sales and marketing by taking on various roles for top retailers. In her current role, Carissa enjoys creating genuine relationships with leading Experiential Marketing companies across the country, expanding the Event Team presence. She enjoys the complexity of Business Development and finding the best ways to connect with others. Outside of work, Carissa is an outdoor enthusiast that loves exploring all that Southern California has to offer. She loves dancing, meeting new people, practicing yoga, attending live music events, and making people laugh. Originally from San Francisco, Elizabeth earned her degrees in both Communication and Gender Studies from the University of California, Los Angeles. Elizabeth jumped into the staffing industry after college and has enjoyed building her skills in sales and business. Her favorite part of her role as Business Development Manager is going on client visits. Elizabeth loves creating new relationships and learning about her clients’ company cultures. Beyond the office, she enjoys learning about nutrition and fitness; taking spin classes or going paddle boarding are some of her favorite workouts. She once danced in the San Francisco Ballet’s performance of “The Nutcracker.” In addition, Elizabeth has a passion for holistic beauty and skin care, and traveling – she’s on a mission to taste the best dessert everywhere she goes! Maor Baror majored in Economics and International Relations at Brown University. Prior to her work at Avenue Pacific, Maor worked as a Financial Advisor at Morgan Stanley and Merill Lynch, and was Director of Operations and Recruiting for a tutoring company. Her previous work in finance, paired with her passion for relationship building, set the groundwork for her current role. When she’s not in the office, Maor enjoys reading and traveling. Janki was born and raised in a suburb of Los Angeles, California. She attended UC Riverside and earned her degree in Sociology. After college, Janki gained administrative experience working as a receptionist and assistant to a Human Resources Department. Her work in HR sparked an interest in Compliance and Recruiting. Janki’s favorite part of her job at Career Group is the work culture. She also appreciates the sense of accomplishment and gratitude that comes with placing someone at a top company with the highest salary they’ve ever received. Outside of the office, she enjoys running and discovering new music. A native of St. Louis, Missouri, Christina attended the University of Missouri, Columbia to earn her degree in Textile and Apparel Management/Marketing and Merchandising. Her passion for networking and building long-lasting relationships grew from multiple fashion and human resource internships with leading fashion brands. In her spare time, she enjoys horseback riding and attending art exhibits. An interesting fact about Christina’s childhood is that her family bred and raised miniature Sicilian Donkeys. Originally from New Jersey, Marina earned her undergraduate degree in Hospitality Management with a Minor in Event Planning, and earned her MBA from Endicott College. She has worked in corporate events and management for some of fashion’s biggest names. Marina’s experience in these roles provided her with valuable insight into client communications with high end brands. As an Account Manager at Fourth Floor, she excels at building lasting relationships with her clients and finding talented, motivated candidates. She loves matching candidates with the perfect job opportunity. In her spare time, Marina can be found practicing yoga, trying new restaurants, and watching her favorite TV shows. Kaitlin is a West Linn, Oregon native, and received her degree in Merchandising Management at Oregon State University. Before coming to Career Group, she worked as an Assistant Department Manager at a major retail store, where she hired and trained teams for multiple departments and learned the business of retail. In her current role, she enjoys taking the time to get to know her candidates and their specific goals, and thrives at the interpersonal aspect of the matchmaking process. Some of her favorite things to do outside of work include exploring the Los Angeles area and relaxing on the beach in Malibu. Liz Winkelmann is a Corona Del Mar native and a graduate of University of the Pacific in Stockton, California. After completing her degree in Communications and Public Relations, Liz went on to work as an Account Sales Manager at PepsiCo for the next 13 years. Her extensive sales experience provided her with a strong foundation in business development that helps her thrive in her current role. When she’s not in the office, you can find Liz fishing, hiking, practicing yoga, reading a new book, or spending time with her family and their dog! Diane is a true talent advocate with many years of experience managing candidates and clients in the creative, marketing and interactive spaces. She has successfully recruited for both corporate and entertainment industries. As a Director of Syndicatebleu, her amazing energy and drive have helped place countless individuals in their dream jobs. Originally from Australia, Diana is a founding member and the Managing Director of Syndicatebleu. Prior to that, she was an Account Manager for Australian ELLE magazine. Diana is the heart and soul of the team. Her passion for fashion, style and design translates into an inherent ability to find exceptional talent for her clients. Madison is originally from Warwick, NY, and attended a dual-degree program at SUNY Oneonta and FIT, where she received degrees in both Fashion and Textiles and Advertising/Marketing Communications. Prior to working at Career Group Companies, Madison worked in accessories wholesale, ready-to-wear sales, and business development at a real estate startup. She enjoys her current role because she loves building professional relationships and is excited about curating a network of contacts. When she’s not at work, you can find Madison hanging with her friends and family, exploring the NYC food and music scene, and spending some time with Fitz, her Frenchie! Originally from Cleveland, Neil is a graduate of Miami University, where he received a Bachelor of Arts Degree in Journalism. Upon graduation, he worked as a freelance writer for several Ohio magazines until moving to New York in early 2014. Once he arrived in New York, he quickly found a home on the Career Group Temp team, and after building his network, has worked his way up to Senior Account Manager for the Fourth Floor division. Neil’s personality along with his matchmaking skills make him an integral member of Fourth Floor. In Neil’s spare time, he enjoys seeing live music shows, playing sports, and eating Mexican food. Jessica began her career as a Junior Print Production Manager at a leading ad agency in New York City. After two years excelling in the ad industry, Jessica was drawn to recruiting. She joined an in-house corporate recruiting team at a leading company where she honed her recruiting skills. Six years later, Jessica joined Syndicatebleu as an Account Manager where she matched the best creative talent with our clients. Jessica has since transitioned into a Business Development leader, where she focuses on sourcing and developing new client relationships. Daisy started her career working for a luxury cosmetics line. Over time, she found herself drawn toward the collaborative, people-oriented element of the industry. This led her to pursue a career that would not only challenge her, but satisfy her creative drive and allow her to build strong relationships with innovative professionals. She quickly found her passion in recruiting, where she has built an impressive track record connecting clients and talent. As an Associate Director of Creative Talent, Daisy takes a personal and positive approach to seeking professionals in creative design, technology, and a variety of other positions. With more than 8 years of creative recruiting experience, Laura takes a long-term approach to her professional relationships. Her incredible eye for talent and amazing people skills enable her to routinely deliver on the most demanding searches for our clients, including many leading advertising, creative, and media companies. As a Senior Account Executive, Laura specializes in direct hire placements. A natural communicator and sincere extrovert, Jake Weingarten lives to bring people together and make meaningful matches. After obtaining his BA in Liberal Arts from The New School, he worked a series of freelance copywriting assignments across multiple industries in New York. After that, he spent several years traveling the world teaching English. He landed with Syndicatebleu in 2016 and found his calling, as recruiting enables him to blend his two passions (matchmaking and building relationships) into one wholly satisfying career. When he isn’t working, you can find Jake on an airplane, behind the pages of a book, or relaxing on the couch watching reality television. Originally from Irvine, CA, Devyn received her Bachelor’s degree in Social Ecology from UC Irvine. After working in the finance industry for eight years, she decided to pursue a more creative career path, and enrolled at the Fashion Institute of Design and Merchandising. She received her AA in Visual Communications from FIDM, and worked as the eCommerce Merchandiser for Vivienne Westwood before joining the Syndicatebleu team. Her ability to connect with people in an organic way makes her a naturally talented recruiter. When she isn’t at work, she enjoys spending time with her husband, traveling, and being a total foodie. A Denver native, Nicole attended Colorado University, where she studied Journalism with an emphasis on Media Studies and Broadcasting. She worked as an Account Executive at a variety of advertising agencies before coming to Syndicatebleu. In her current role, Nicole loves the chance to use her great networking and communication skills with candidates. She’s also incredibly organized – she never misses a follow up! When she’s not in the office, you can find Nicole at the nearest yoga or Pilates class, on the beach, or volunteering. Originally from Allendale, New Jersey, Thomas attended Rowan University where he studied Business Management and Entrepreneurship. Prior to joining Syndicatebleu as an Account Executive, Thomas worked in advertising, both on the consumer and B2B side. In his current position, Thomas enjoys developing relationships with candidates and clients alike, while working towards mutually beneficial career opportunities for all parties involved. Outside of work, you can find Thomas at the beach, fishing, golfing, and snowboarding. Melanie is a Los Angeles native that found her way back to the West Coast after living in New York for 4 years. She received her degree in Sociology and Communications from Lehigh University in PA, and worked in Operations for various startups. She loves getting to know her clients and candidates at Syndicatebleu to better understand and accommodate their needs. When she’s not at the office, Melanie enjoys live music, trying out new restaurants, and meeting new people! Emma attended Trinity College in Connecticut, where she received a Bachelor of Arts Degree in Art History and a Minor in Writing. In 2015, Emma joined Syndicatebleu as an Account Coordinator. She has since transitioned into her role as a Creative Recruiter where she has helped numerous creative professionals find their next great opportunity. Her strong communication skills and unwavering dedication to her clients has allowed her to thrive in this fast-paced role. Emma specializes in Graphic Design, Art Direction, Copywriting, and more. In her free time, she enjoys traveling, art, and trying new restaurants. Sara is originally from Philadelphia, and received her Bachelor’s degree from Indiana University in Journalism with a focus on Advertising and PR. Before Syndicatebleu, she worked as a Sales Planner and Account Manager in the advertising industry. This background knowledge helps her truly connect with her candidates – her favorite part of recruiting is her chance to give great advice. When Sara’s not working, you can find her trying out the newest NYC restaurant, at a live comedy show, or traveling somewhere exciting! Originally from Long Island, Nicole received her degree in Business Administration and Marketing from the University of Miami. She gained essential recruiting experience after college when she specialized in finding talent for PR opportunities throughout New York City. In her current role, Nicole loves being a trusted partner and friend to clients and candidates. She enjoys being the support system for both parties, and keeping their objectives in mind throughout the process. When she’s out of the office, she’s exploring less-discovered gems across New York City and making new friends. Prior to her tenure with Syndicatebleu, Allie graduated from Ithaca College with her undergraduate degree in Biological Anthropology, Environmental Studies, and Psychology. Before becoming an Account Manager, Allie worked within ecology and environmental sciences as a state park tour guide, publishing assistant, veterinary assistant, and steward. Her diverse work history and multifaceted academic background has given her the ability to source and match candidates across a wide range of industries. Her hobbies include spending time on the waterfront, playing with puppies, and making smoked jerky. Alex Tilton is a Search Consultant at Avenue Pacific. Based in the New York office, he has deep search experience across multiple sectors and roles. Trained as a lawyer, Mr. Tilton approaches each search with an analytical eye and has a deep commitment to relationship development and client service. At Avenue Pacific, Mr. Tilton specializes in senior-level executive search. He has executed searches in a wide range of industries and companies, successfully placing finance, legal, compliance, and strategy candidates. Mr. Tilton began his executive search career at leading global search firm Heidrick & Struggles. Prior to entering executive search, Mr. Tilton was a practicing attorney in New York. Mr. Tilton earned his Juris Doctor at Tulane University Law School and earned a Bachelor of Arts from Yale University. He played varsity squash at Yale and continues to play competitively in his spare time. Nick Kazimiroff is a Search Consultant at Avenue Pacific. Prior to joining Avenue Pacific, Nick supported multiple senior talent managers at Big Frame, a full service talent management and influencer marketing company affiliated with AwesomenessTV (ATV), a joint venture of DreamWorks Animation (a subsidiary of NBCUniversal) and Verizon Hearst Media Partners. While at ATV, Nick collaborated with influencers, clients, managers, agents and lawyers helping execute on digital and traditional media incentives including, but not limited to, best practices across various social/digital platforms, social media monetization, digital brand building, identifying best-in-breed partners, apps and content distribution platforms, traditional casting, and project pitches. Before joining ATV, Nick was an assistant to traditional film and television talent representatives at Paradigm Talent Agency, Industry Entertainment and Gilbertson Entertainment. His experience includes talent coverage and project/actor tracking across various multi-channel networks, studios, networks, production companies and casting offices. Previously, Nick was at Creative Recreation, a fashion/apparel marketing and e-commerce company. Nick began his entertainment career at Endgame Entertainment while attending Boston College, where he studied communications and film while competing in Division I athletics all four years. Nick is passionate about esports, gaming, and alternative forms of content creation and storytelling including live streaming, VR, and AR platforms. As a Search Consultant at Avenue Pacific, Nick will continue to build upon his prior experience in entertainment and branded content/brand building. In his free time, Nick enjoys surfing, camping, and competitive sports. Kiki Davis is a Search Consultant at Avenue Pacific. Based in the New York City office, she has extensive recruitment experience across different disciplines. With a strong background in customer service, she approaches all recruitment as an opportunity to build lasting relationships with both candidates and clients. Prior to joining the Avenue Pacific team, Kiki was working as a Recruitment Consultant for a global agency, specializing in financial services. Before beginning her career as a Search Consultant, she was working as an Account Executive for a contemporary women’s fashion brand, servicing clients domestically and abroad. Kiki received her Bachelor’s degree in Humanities at Sierra Nevada College in Lake Tahoe, Nevada. She enjoys the outdoors and meeting new people in her spare time. Paige Tippet is a Search Consultant for Avenue Pacific’s Executive Search Practice. Paige is an experienced professional with a successful track record of establishing, managing, and expanding client relationships across multiple industries. As a key member of the Avenue Pacific team, Paige is admired for her superior client service and her unparalleled recruiting ability. Prior to joining Avenue Pacific, Paige was an Associate at Gideon Strategic Partners where she was recognized as a leader within client management. In addition to her involvement in the client practice area, Paige has experience and a demonstrated history of success in consulting, wealth management, and financial planning for HNW individuals, and professional athletes. Paige received her Bachelor’s degree in Psychology from Columbia University where she also served as the captain of the Women’s Basketball team for four years. Paige is passionate about health and wellness, following trends within the fashion and music industries, and spending quality time with her family. Maor Baror is a Search Consultant at Avenue Pacific. When it comes to recruiting, Maor takes the time to develop a deep understanding of her clients’ and candidates’ needs in order to make the most successful matches. Prior to joining Avenue Pacific, she led the recruitment efforts at an education start-up for four years. Before launching her career as a Search Consultant, Maor worked as a Financial Advisor for both Morgan Stanley and Merrill Lynch, where she gained valuable insight into the world of financial services. Maor received her Bachelor’s degree in Economics and International Relations at Brown University. When she’s not in the office, she enjoys reading and traveling. Katie is a fashion industry veteran with over 15 years’ experience working closely with the country’s leading brands, retailers and fashion startups. During her time as Director of Business Development at Fourth Floor, she has originated countless freelance contracts as well as contingent direct hire and executive level search partnerships with the top fashion, beauty and creative clients in Los Angeles, New York, San Francisco and Orange County. Katie earned her Bachelor of Fine Arts from James Madison University, and began her career in fashion as a graphic designer. Her path quickly evolved into product development, trend sourcing, and ultimately, sales. According to Katie, “how you treat people is everything in our industry; people remember and come back based on the relationships we create.” In her free time, Katie loves traveling and exploring new cultures and adventures around the world. A New Jersey Native, Staci earned her degree in Apparel Merchandising from Indiana University. Before joining Fourth Floor, Staci held account executive positions at multiple apparel showrooms. These experiences helped develop her sales technique and taught her how to effectively multitask. Her previous experience in the fashion industry also provided Staci with excellent insight on the ideal candidates for Fourth Floor roles. Staci loves tackling new challenges and helping candidates land the perfect job. Outside of the office, she can be found spending time with her friends, going out to brunch, taking a dance cardio class, or enjoying a warm vacation. Rachel is a Los Angeles native, but spent time on the East Coast during her years at Goucher College. She majored in Economics and Management before starting her career in the fashion industry in NYC. Rachel brings nearly ten years of experience in wholesale fashion sales to Fourth Floor. A romantic at heart, Rachel views herself as the matchmaker between the client and candidate. She believes there is a perfect person for each job. Rachel loves to end her day with her adorable puppy, Lucia. Lauren is originally from Princeton, New Jersey. She earned a degree in Comparative Literature from Brown University. Lauren learned the art of matchmaking and working with different types of people through her experience as an extras casting assistant. Fourth Floor placed Lauren in her first fashion role three years ago before she came to work for the division. In her current role, she finds it rewarding to place a great candidate in their perfect role. Outside of work, Lauren enjoys Pilates, trying new restaurants, and cuddling with her cat, Gus. Jessica is an East Coast native who grew up in Long Island, New York. She attended Bernard M. Baruch College and received her Undergraduate degree in Communications and Masters in Psychology. Jessica enjoys working with all types of people, especially creatives, and learning about their craft. She loves having the opportunity to meet talented people and look at her candidates’ amazing portfolios. On the weekend, Jessica enjoys being active at the gym, exploring her home state and watching movies and documentaries. In college, she lived in Paris and was an Editor for a French magazine. Michelle is a native of Philadelphia, and earned her degree in Communications from Pennsylvania State University. Upon graduation, Michelle moved to Los Angeles to pursue a career in PR. During her time in the PR industry, she managed fashion, beauty, and lifestyle client accounts, and built strong relationships with fashion editors, influencers, and stylists. Now as an Account Executive for Fourth Floor, Michelle combines her love for communications with her passion for building strong relationships in the fashion industry. She strives to help candidates find their dream careers, and clients find their dream candidates. Outside of the office, Michelle loves trying new restaurants, visiting the beach, and spending time with her friends and family. Originally from Santa Ynez, Kristina attended UCSB and majored in Communication. Before starting at Career Group, she served as a marketing intern and worked as a health coach in Santa Barbara. In her current role, Kristina excels at listening to candidate and client needs and proactively managing her priorities. When she’s not in the office, you can find Kristina exercising, reading, or hiking with her adorable dog! Alissa was born and raised in Northwest Arkansas. She attended the University of Arkansas where she was the first student to earn her Bachelor of Arts in Communications from their online program. After college, Alissa worked in public relations, digital marketing, and sales for top fashion brands in New York City. Alissa’s favorite part of her job at Fourth Floor is helping others reach their career goals, and loves that her passion for recruiting ties in with her strong interest in the fashion industry. Outside of the office, Alissa is a food blogger who enjoys a healthy lifestyle, traveling, and listening to music. Originally from New Jersey, Jamie attended Indiana University where she studied Apparel Merchandising. Prior to joining Fourth Floor as an Account Executive, Jamie worked in wholesale sales within the fashion industry. In her current position, Jamie enjoys developing relationships with candidates and loves the rewarding feeling of placing someone in their dream role. In her free time, Jamie enjoy shopping, trying new restaurants, and spending time at the beach. Julia is originally from Venice, and received her degree in Cultural Anthropology from UC Berkeley. Prior to her work at Fourth Floor, Julia worked at a women’s athleisure company and in B2B sales. Julia loves her current role because it combines her love of fashion with her knack for account management and sales. Plus, she loves having the chance to find her clients their dream job! When Julia isn’t working, you can find her cooking a delicious meal, at a hot yoga class, or tackling a DIY project. Jordan is originally from St. Louis, Missouri, and attended the University of Missouri, Columbia, where she earned her degree in Textile and Apparel Management/Marketing and Merchandising. Prior to joining the Fourth Floor team as an Account Executive, Jordan was a Recruiter and Account Manager for one of the largest IT Staffing Firm in the US. In addition, she has experience and a successful track record in fashion merchandising and event planning. Jordan moved to NYC to pair her love of fashion with her expertise in recruiting and account management. In her current role, Jordan enjoys networking and has a sharp eye for identifying successful matches between her clients and candidates. Outside of work, Jordan loves exploring new cities, boutique fitness studios, and searching Manhattan for the perfect pancake. Rebekah is originally from Shickshinny, Pennsylvania, and moved to New York City to attend the Fashion Institute of Technology, where she earned her degree in Fashion Merchandising Management. Before joining the team as an Account Executive, Rebekah spent more than five years working on the wholesale side of the fashion industry, where she mastered the emerging designer and designer ready-to-wear categories. In her current role, she enjoys making the perfect match between candidates and clients, and finding her candidates their dream careers. Outside of work, Rebekah enjoys fine and performing arts, traveling around the world, and spending time with friends and family. Prior to joining the FourthFloor Recruiting Team, Nicole received her Bachelor’s Degree in Business Administration from the University of San Diego. During her time at USD, she held an internship at E! Entertainment and worked in the HR Department at a Creative Advertising Agency, giving her a solid foundation for cultivating relationships with both clients and candidates to find them the best career matches within the Fashion Industry. When she isn’t at work, she enjoys spending time with friends, attending music festivals, and traveling to new places. Erica is originally from Chino Hills, California, and attended California Polytechnic University (Pomona campus), where she earned her Bachelor’s degree in Business Administration and Human Resources. Prior to joining the Fourth Floor team, Erica worked at a luxury fashion retailer for eight years, where she gained extensive experience in project management, sales, and client relationship management. At Fourth Floor, Erica uses these skills to create meaningful connections with her candidates and clients by identifying their pain points and finding them their perfect culture fit. In her free time, Erica enjoys reading and baking. Originally from Barcelona, Marta earned her degree in Fashion Design and Management at the ESDi School of Design. While in college, she worked as a design assistant for a high end fashion brand in Spain. Upon moving to New York City, she began her career in fashion licensing. She realized how much she enjoyed interacting with different people, and sought out a career in Human Resources. As a recruiter, Marta feels that her diverse background allows her to better understand her clients’ needs. In her spare time, she enjoys reading and participating in water activities. Originally from Long Island, Kelly earned her degree in Sociology from the University of Maryland. Before joining the Fourth Floor team, she gained experience in the fashion industry as a personal styling assistant. Kelly’s favorite part of her role at Fourth Floor is placing candidates at their dream companies. When she’s not hard at work, Kelly can be found practicing yoga, traveling, fishing, and going to Knicks games. Originally from Honolulu, Hawaii, Vanessa attended the University of Oregon where she majored in Sociology. After spending some time as a Teaching Assistant in early childhood special education, Vanessa decided to take her talents to Career Group. Vanessa is a valued member of the team and prides herself in going above and beyond for her candidates. Outside of the office, Vanessa loves going to the beach and trying new restaurants. Michael received his Bachelor’s degree in Communication and Sustainability studies at Santa Clara University. Prior to joining the Fourth Floor team, Michael oversaw vendor accounts and managed customer service inquiries for one of the nation’s largest events management companies. In his current position, Michael utilizes his experience in both client and customer relations to build strong connections with his candidates and clients. Outside of work, Michael is a talented painter, and is currently working on his third art exhibition which will feature nearly 300 original paintings. Originally from Short Hills, New Jersey, Jenna attended Vanderbilt University and earned her degree in Human and Organization Development. Before Fourth Floor, Jenna worked as a Sales Assistant, an E-commerce and Digital Marketer for a renowned Beauty Brand, as well as other various marketing-related positions for consumer-facing companies. In her current role, Jenna excels at reaching out to potential candidates and assisting them with any questions or concerns they have throughout the process. She’s also an integral part of Fourth Floor’s new Campus Ambassador Program. When she’s not in the office, you can find Jenna practicing yoga, running, spending time with family and friends, and researching the latest fashion trends. Nicole Miralles was born in Cebu, Philippines and raised in Burlingame, California. She attended California State University, Long Beach, where she majored in Health Care Administration. Prior to joining Career Group, Nicole worked in the restaurant industry and within a Home Care Agency. Her passion for connecting with candidates and acting as a resource during their job search allows her to thrive in her current role. When she’s not in the office, Nicole enjoys an active lifestyle, whether it’s taking a kickboxing class or exploring the outdoors with her boyfriend and their puppy, Kona. A native of Orange County, California, Danielle is a graduate of San Francisco State University, where she earned a Bachelor of Arts in English. Prior to joining Career Group, Danielle was a recruiter for a notable clothing brand. She continues to build on her previous experience by making successful matches as a Recruiting Associate. Danielle is very passionate about getting to know candidates on a personal level, building strong relationships with them, and landing them their dream jobs. Outside of work, Danielle loves to try new restaurants, visit the beach, and explore the famous LA music scene. Sophia is originally from Ridgewood, New Jersey, and attended Gettysburg College in Pennsylvania, where she earned her degree in Biology. Prior to working at Career Group, Sophia gained experience in talent acquisitions and career development roles. Her favorite part of her job now is her coworkers, and building relationships with new people every day. Outside of work, Sophia can be found embarking on travel adventures or watching her favorite shows on Netflix. Originally from Spangle, Washington, Casey graduated from Santa Clara University. She received her Bachelor’s Degree in Psychology, Spanish, and Urban Education. After working as a Research Assistant for SCU’s Psychology department, Casey decided to pursue a career as a recruiter, which aligned well with her interests in psychology and people. As a recruiter at Career Group, Casey loves using her background in psychology to better understand the needs of her candidates, and is an empathetic partner in their job searches. In her free time, Casey loves all things outdoors, including skiing, hiking, camping, and exploring San Francisco. Anna is a native of New York City, and attended Arizona State University, where she earned her Bachelor’s degree in Marketing. Prior to joining Career Group, Anna worked as a manager of a world-renowned apparel retailer, where she guided marketing and merchandising strategy for the brand. During her time in this position, she realized her passion for networking, and found her perfect fit at Career Group. As a Recruiting Coordinator, Anna excels at building meaningful relationships with both clients and candidates, and enjoys the satisfaction of finding her candidates their dream jobs. Outside of work, Anna loves traveling, practicing yoga, and exploring the city. Beatriz is originally from San Juan, Puerto Rico, and attended Fordham University, where she earned her Bachelor’s degree in Political Science, with minors in International Humanitarian Affairs and Latino/Latin American Studies. Prior to joining Career Group as a Recruiting Coordinator, Beatriz worked as an Associate for a prominent strategic communications consulting firm, while also interning for two national nonprofits. In her current role, Beatriz has mastered identifying candidates’ strengths and how they best fit into her client’s current roles. She is also highly skilled in mediating communication between clients, candidates, and her team. Outside of work, Beatriz volunteers for local political campaigns, enjoys writing, and spends her weekends exploring New York City. Caroline grew up in Southern Maine and came to the Los Angeles area for college, where she attended Loyola Marymount University and graduated with a degree in Marketing. Before starting on the Career Group team, she worked in marketing, PR, and events at a lifestyle company based in LA. In her current role, Caroline enjoys fast-paced problem solving and getting the opportunity to communicate with different types of people every single day. When she’s not helping place our top-notch temp candidates, you can find Caroline watching the news, singing karaoke, or at the beach, basking in the SoCal sun. Jennifer received her Bachelor of Science Degree from Purdue University, where she majored in Child Development and Family Studies. Upon graduation, Jennifer moved to Connecticut where she spent several years working in health care, child development, and public relations. In 2010, she moved to San Francisco and joined Career Group as an Account Coordinator, where she supports a Senior Account Executive in the Full-Time Division as well as the Managing Director and Senior Account Manager in the Temp Division. In her free time, Jennifer enjoys running and weekend trips to Lake Tahoe. Savannah is originally from Portland, Oregon, and attended The University of Oregon, where she earned her Bachelor’s degree in Communication Disorders and Sciences. During her time in college, Savannah worked as a peer advisor and mentor, working closely with students to support their transitions into college life. In addition to working with students, Savannah excelled as a sales representative for a peer-driven tech startup. In her current role as a Recruiting Coordinator, Savannah utilizes her vast knowledge of communication and active listening techniques to understand the underlying needs of clients and candidates. In her free time, Savannah loves to cook new and exciting dishes, listen to live music, and explore the Bay Area. Lindsay grew up in Arkansas and received her degree in Apparel Merchandising and Product Development from the University of Arkansas. Prior to joining Fourth Floor, she worked at a contemporary womenswear boutique. In her current role, Lindsay loves to meet and develop relationships with all of the talented people she comes across, and enjoys helping them find their perfect fit. When Lindsay isn’t making matches, you can find her at brunch or with her dog at the dog park. Originally from New Albany, Ohio, Emily is a graduate of Miami University, where she received her Bachelor’s Degree in Accounting. After graduating in 2014, Emily pursued her dream of moving to NYC and became a department manager for a leading fashion brand. Here, she developed her love for the training, recruiting, and hiring within the fashion industry. Emily joined Fourth Floor as a Recruiter in 2018. In her current role, Emily excels at identifying great, motivated talent, and building meaningful relationships within the industry. In her free time, Emily enjoys exploring the city, trying new restaurants, reading, and watching true crime TV shows. Lauren is originally from Newport Beach, California, and attended Sonoma State University, where she earned her Bachelor’s degree in Business Marketing. Prior to joining Fourth Floor, Lauren worked atsome of the top wineries in Napa, creating social media campaigns, managing events, spearheading marketing strategies, and executing sales from start to finish. In her current role, Lauren excels at making the perfect match between her candidates and clients. She is highly motivated by finding these pairs and hopes to help every candidate find their dream job. When she’s not at work, you can find Lauren traveling, spending time with friends and family, and dining at the hottest new restaurants in LA. A native of Ireland, Miriam McCallion moved to the States at an early age, and has lived all over the country. From the Midwest to the Southwest, Miriam decided to take root in New York City. It was here she attended Baruch College, earning her Bachelor’s degree in Human Resource Management with a minor in Communications. Before joining the Fourth Floor team, Miriam worked as an HR Manager at a Tech Startup in New York City. Her favorite part about her current role is the opportunity to learn about her candidates on a personal level, which provides her with a better understanding of the types of opportunities they would be excited to hear about. Outside of work, Miriam can be found kayaking with her friends in Upstate New York in the summer, or cozied up with the next best mystery novel in the winter. Demi is originally from Ashland, Missouri, and graduated from the University of Missouri with a Bachelor’s Degree in Marketing and Merchandising. Before joining Fourth Floor, Demi held a wide range of jobs, and eventually began her career in the fashion industry working as a Sales Supervisor at a popular retail store. Demi’s favorite part of recruiting is the unpredictable, fast paced nature of the job; she feels that she has mastered the art of going with the flow in order to meet the needs of her candidates. When she’s not at work, you can find Demi curled up at home – most likely with Lifetime on. Hallie comes from a small town outside of Princeton, New Jersey. She attended Elon University in North Carolina, earning her Bachelor’s Degree in Sport and Event Management with a minor in Italian Studies. Hallie’s previous experience as a Media Buyer prepared her to place candidates in the creative roles that she recruits for at Syndicatebleu. Hallie loves her team dynamic and the variety of candidates she is able to work with. Her candidates’ passions help expand her knowledge of the industry. In her spare time, she loves to read, shop for new candles, and regularly stops by Ben & Jerry’s for a cone of chocolate fudge brownie ice cream. Elena Casas is originally from San Luis Obispo, California. She graduated from University of Oregon with a degree in Public Relations. During her work as an Account Executive at an Entertainment Advertising Agency, Elena was in charge of hiring interns, which sparked her passion for recruiting. In her current role at Syndicatebleu, Elena loves the collaborative team dynamic and the opportunity to meet new people every day. When she’s not at the office, you can find Elena exploring New York City with friends and eating 99 cent pizza. Mackenzie is a Simi Valley native who found her way back to the west coast after attending George Washington University in Washington, D.C., where she earned her BA in Marketing. Prior to Syndicatebleu, Mackenzie worked in both the retail and consulting startup space. She has experience in social strategy, client relations, and inventory management. Mackenzie loves her current role because she can connect with creative candidates on a personal level, and has a profound appreciation for their work. In her free time, you can find Mackenzie teaching yoga classes, learning to drive race cars, and attending live music and comedy shows. Natalie Boren is the Managing Director of the Career Group Temporary Division, Fourth Floor, Syndicatebleu, and the Event team. She plays an integral role at Career Group Companies, successfully recruiting for top clients while training, mentoring, and developing her teams. Natalie joined Career Group in 2012 as an Account Manager after earning her BS in Mass Communication/Media Studies from Boston University. In her free time, Natalie can be found traveling, exploring new restaurants, and spending time with her family. Originally from Queens, NY, Jill studied theatre at Fordham University. Before Career Group, she worked for five years in casting on the soap opera Guiding Light. Jill has a passion for recruiting because she loves making perfect matches; helping clients and candidates simultaneously find the right fit is what she lives for. When she’s not at work, Jill enjoys watching theatre, going to museums, and enjoying the great outdoors. Maor Baror majored in Economics and International Relations at Brown University. Prior to her work at Avenue Pacific, Maor worked as a Financial Advisor at Morgan Stanley and Merill Lynch, and was Director of Operations and Recruiting for a tutoring company. Her previous work in finance, paired with her passion for relationship building, set the groundwork for current role. When she’s not in the office, Maor enjoys reading and traveling. Kiki received her Bachelors degree in Humanities at Sierra Nevada College in Lake Tahoe, Nevada. She enjoys the outdoors and meeting new people in her spare time. Originally from the Philippines, Danielle moved to New York at the age of four. She attended Fairleigh Dickison University where she majored in Communications and minored in Political Science. Prior to joining Career Group as a Recruiting Assistant, Danielle worked in the media department of a popular boutique fashion brand. In her current position, she excels at supporting her team and connecting with candidates on a personal level to find them the perfect role. In her free time, she enjoys advocating for non-profits, trying new brunch spots with friends and family, and watching documentaries. Taylor Bibbiani is a Recruiting Associate for Career Group’s full-time division in New York City. Having worked with recruiters in the past, Taylor was inspired to help others find their dream jobs by pursuing a career in the industry herself. She advises her candidates to approach the job search process with positivity, patience, and professionalism. Taylor is a graduate of the College of Charleston where she earned her degree in Political Science. When not at work, her favorite pastimes include attending concerts and spending time with her friends and dog. You're in! Check your inbox to get started.